Put all ingredients in a cocktail shaker over ice and shake, shake, shake! 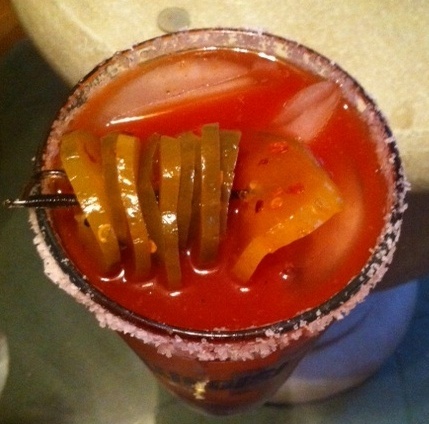 Pour into a salt rimmed glass and garnish with Sweet & Spicy Smooth pickles! Enjoy!! Now I’m gonna hunker down and enjoy this BLIZZARD!!!! 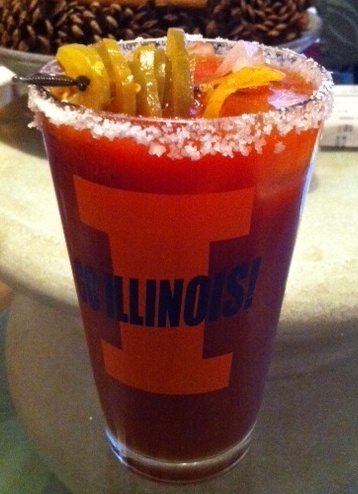 I really wish I could like bloody marys because this is beautiful. Too bad for me. I know – I wish you liked them too. They just scream BRUNCH!! You should practice liking them.